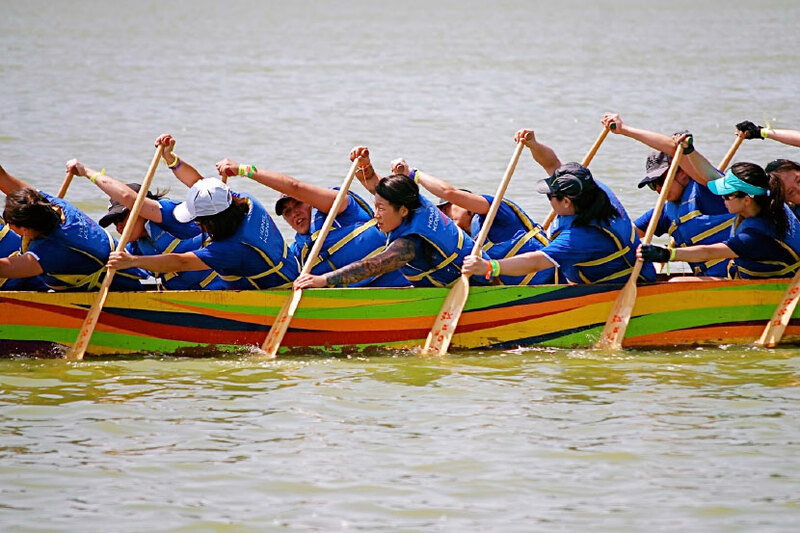 Flushing Bank participates in the Annual Dragon Boat Festival on Meadow Lake in Flushing Meadows - Corona Park. Flushing Bank has their own crew team which competes at the event. The crew team was in need of a custom branded uniform. In addition, Flushing Bank was in need of marketing tools and apparel to support their presence at this event. Custom Design and Manufacturing, Promotional Marketing Tools, Apparel, Full Color Decorating. 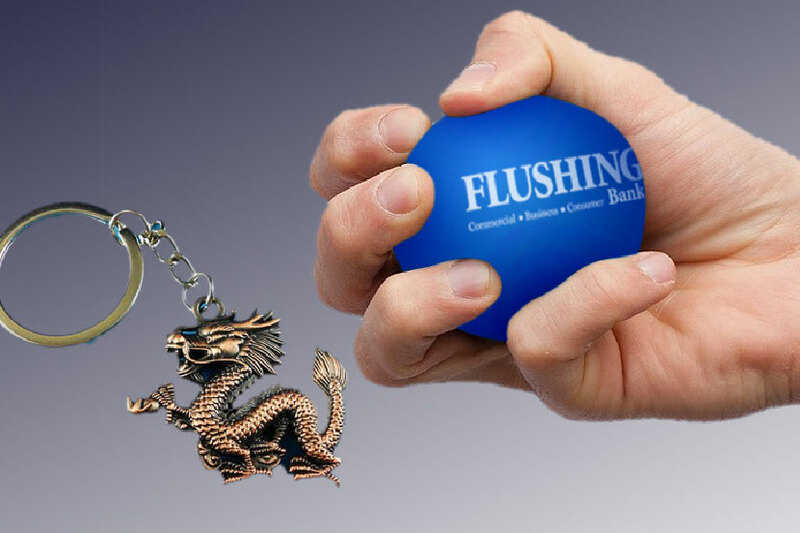 Bradley Marketing Group provided from concept to completion a variety of promotional marketing tools and custom apparel to support and brand Flushing Bank at the Dragon Boat Festival. A custom dragon parasol was designed and manufactured to accompany the event. 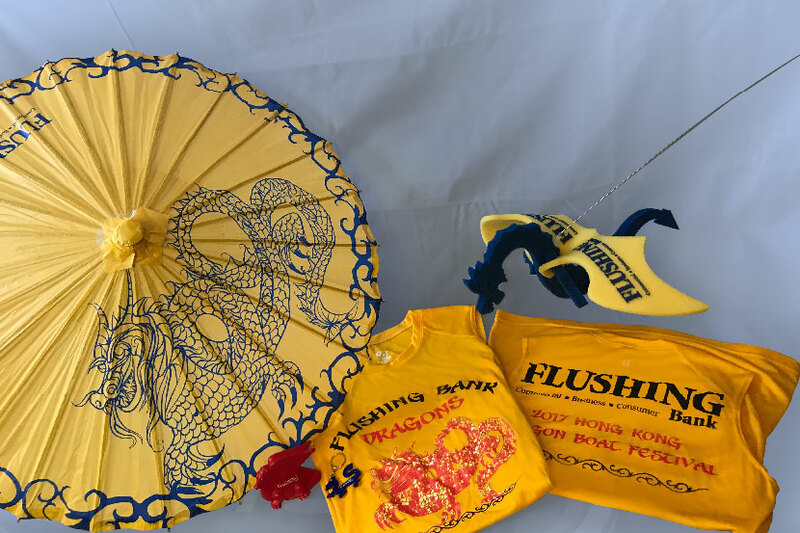 The custom parasol along with a variety of dragon themed promotional marketing tools accompanied the prize levels provided by Flushing bank at the Dragon Boat festival. The promotional marketing tools included dragon stress relivers, dragon keychains and a customized dragon on a leash. Specialty full color decorated t-shirts were also developed and provided by Flushing Bank. Lastly, the crew team was outfitted in custom uniform shirts and warm up jacket for the Dragon Boat Festival. 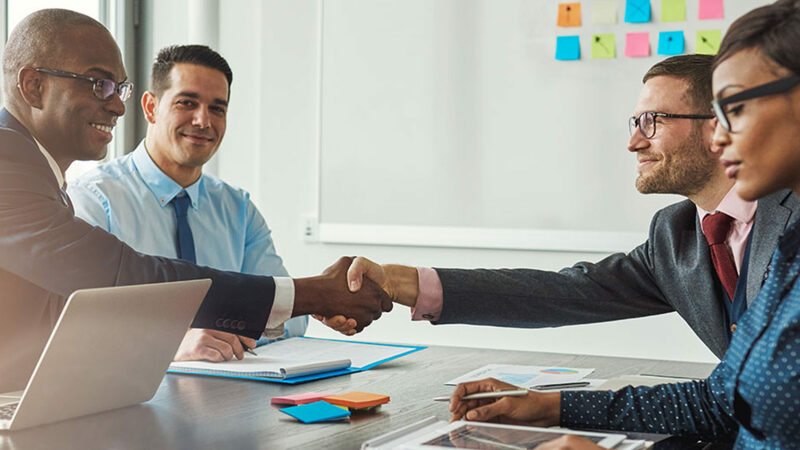 All of the items were highly effective at the event and provided Flushing Bank with a wide range of branding capabilities.